I love Instagram. I don't take nearly enough photos as I would like but my fingers are actively scrolling daily and I am inspired by the sustainable souls that pop up on my feed sharing hints, tips and encouragement. 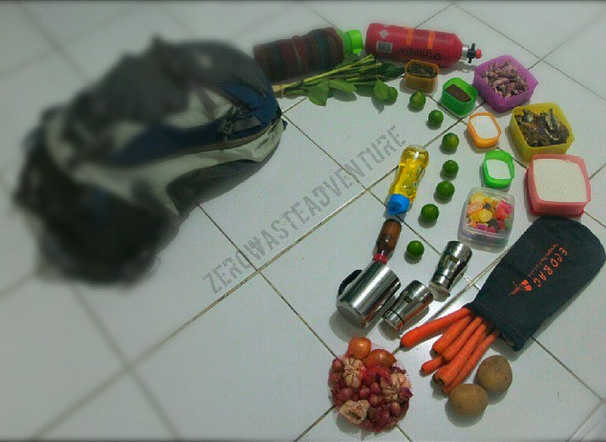 One such person that I became an avid fan of was the Zero Waste Adventure feed. It was not your average documentation of a zero waste adventure through somewhere like America, instead it was in Indonesia a place I knew to be a harder place to go zero waste than most. What was even more inspiring was that their feed documented a lot of multi day hikes, an activity that I love but had since pushed aside because I was afraid of the waste I would create. Through the Instagram account I discovered the blog and would read it using the school girl Indonesian I knew (Indonesia is one of Australia's closets neighbors so learning Indonesian is common here). I found it inspiring and made me think that I could totally do a zero waste adventure hike. 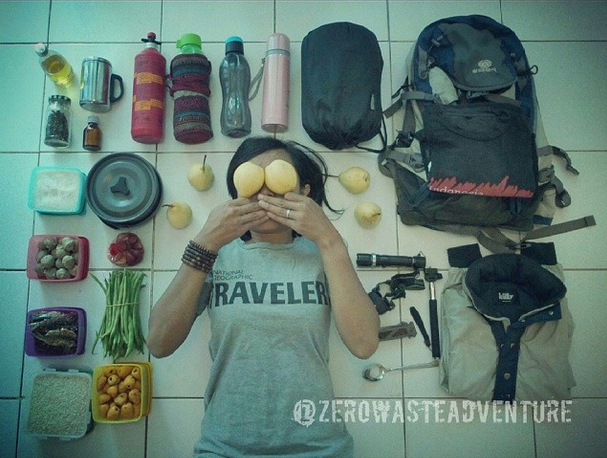 Siska Nirmala is the soul behind Zero Waste Adventure and hails from Bandung, West Java Province, Indonesia. 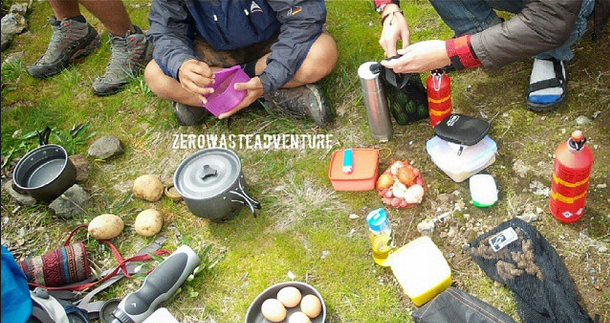 What is your blog Zero Waste Adventure about? On my blog, Zero Waste Adventure, I share my journey in adopting a zero waste lifestyle into adventuring activities including backpacking and travelling. I learn about zero waste in 2010, but I just committed myself to live zero waste in 2012. And in 2013, I start the zero waste adventure. I prefer hiking in every zero waste adventure that I do, because in my country almost every mountain has a trash problem. It's a problem of culture, where here in Indonesia people are littering. In Indonesia people spend about 2-3 days hiking. So they must bring some food stuff for cooking while camping at the mountain. And here is where the problem of littering while hiking began. What are your tips to hiking waste free? Hiking waste free is actually easy. The point is, almost all the littering at the mountain is food packaging, so I refuse to bring that. 1. Bring eco bottle/ tumbler, not a disposable bottle of mineral water. 2. Do not brought any food packaging such as chips for snack, instant noodle, etc. Replace all the snack with fruits. And we can bring some vegetable to cook. Bring some raw meat or fish, do not bring processed meats such as sausage or corned beef and sardines. Candy or sweets is sometimes an important things to bring while hiking. Because sweets could give us energy while we rest. Its hard to find unpackaged candy in my country. So, candy could be replace by brown sugar. This brown sugar could also used to make hot ginger beverages (cook brown sugar with water and some gingers. Its a great drink on hiking). And actually many alternative foods without packaging can be made and bought along. Its just a matter of being creative and managing your hiking supplies. Is it easy to live waste free where you are from? Honestly, its not easy to live waste free in Indonesia. No bulk shop here. Vegetables and fruits, raw meat, fresh chicken, fish can still be found unpackaged at traditional market. But for any others stuff, its already packaged and impossible to get them unpackaged (spices, and other daily needs like soap, shampoo, etc). And zero waste shopping at traditional market in this city, Bandung, is not that easy. It is a huge effort to explain why I refuse the plastic bag. For them, it's a strange thing to shop without plastic bags. They say something like "no problem, this plastic bag is free" or something like "your cloth bag could get dirty" and they put the corn into the plastic bag. Hahaha... I enjoy every experiences on debating with the merchant about why I refuse plastic bags. But now I have one merchant that I use to shop, so he already is used to my habit, and we are not debating anymore about the plastic bag. There also some people with zero waste life style in Indonesia. Generally they are incorporated with community such as YPBB Bandung, Zerowaste Bandung and Zero Waste Indonesia. I believe zero waste in Indonesia will grow larger. For anyone visiting your country what are the easiest ways for tourists to reduce plastic and keep waste low? 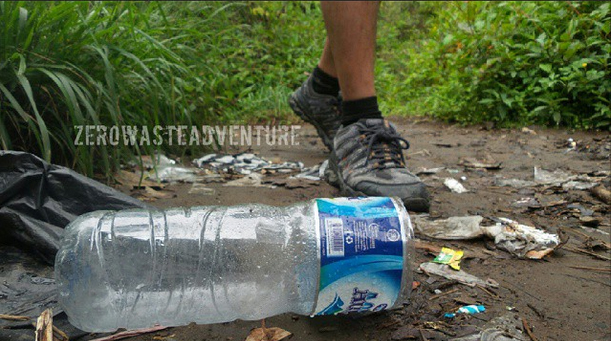 First the easiest way to reduce waste while travelling is bring your own bottle. You can refill the bottle at the hotel or inn. Second way to reduce waste while travelling is choose to dine in when you eat somewhere. Refuse take away. But if you want to take away, be sure to bring your own container. And remember to eat local food, not at the big restaurant. Because travelling is not only about our own pleasure, but how we help local economy. What is your favourite travel memory? What inspired you to travel zero waste? The 'aha moment' that gave me the idea of zero waste adventure was in 2011 when I was hiked Mount Rinjani, located at Lombok, Nusa Tenggara Barat, Indonesia. Rinjani is number one of the most beautiful mountains in Indonesia (you should come here too ;) ). But sadly, the trash problem is found here too. And its terrible. My journey to Rinjani is also my favourite travel memory. Because i went there along with one of my best friends. 4 days of beautiful hiking, then travelling Lombok, and crossing the ocean to reach Bali island. 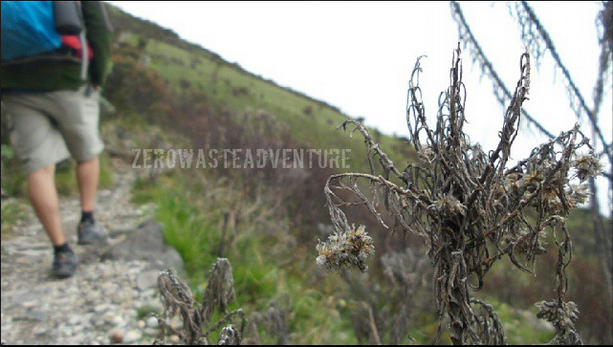 The same condition of trash also i found when I was hiked Mount Semeru (2012), located in east Java, Indonesia. It's number two beautiful mountain in Indonesia, after Rinjani. And also the highest mountain on Java Island. I feel sad to see the trash on those two beautiful mountains. And start to think if there is any way to avoid trash while hiking. Then I came to the zero waste life style idea, and thought this lifestyle can be applied while we are hiking or travelling. But those who are wise, stop producing trash. 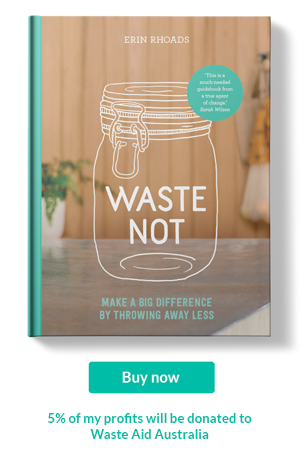 Also, I'm on progress to write my book about Zero Waste Adventure. I've hiked 4 mountains zero waste. I have some more mountains to go. But it's not how many mountain I hike, or how many cities I travel in... but how huge an effort we try to reduce and not produce any waste. This is the spirit i wish i could spread to people.